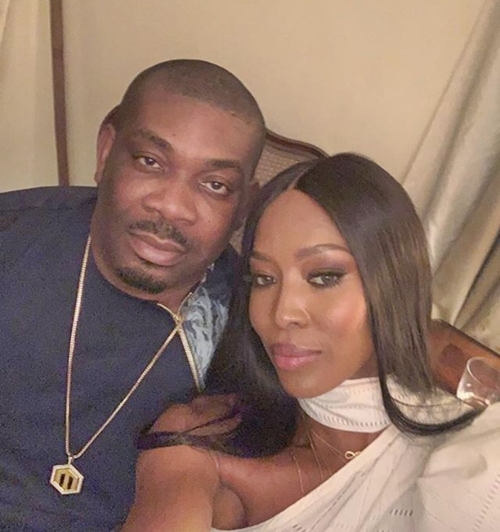 Famous music producer, Don Jazzy, has revealed that he had to put on his sexiest eyes after he met and hung out with popular U.S hot model, Naomi Campbell in Lagos. 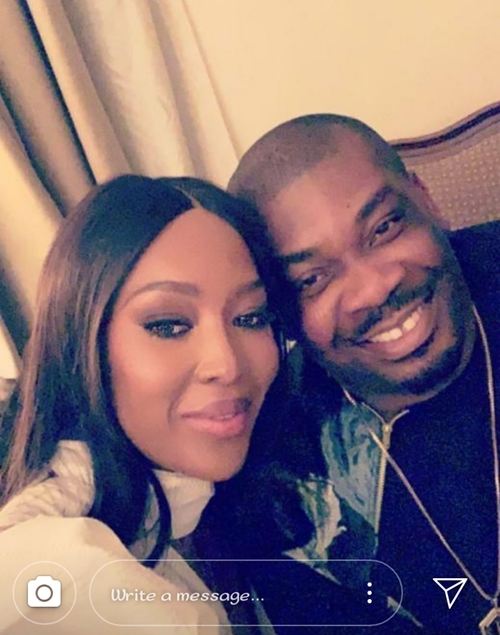 Multi award-winning Nigerian music producer, Don Jazzy has taken to his Instagram page to share some pictures he took with American supermodel, Naomi Campbell, after the pair met in Lagos during GTBank Fashion Weekend. The event which was meant to bring together promising and talented fashion designers across Africa and beyond, had 48-year-old Naomi grace the event at the nation’s commercial city. Don Jazzy who revealed that they enjoyed each other’s company, admitted that he was star struck on meeting and hanging out with her. He did not end there but also took to his Insta Story to share another picture of them together.